Teeth whitening can be done at home or at a dental provider's office. When teeth are stained or discolored, it can interfere with a person's confidence and may result in increased insecurity when smiling or laughing especially in social situations. 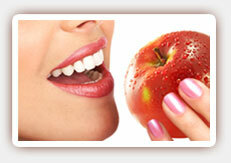 There are many benefits to having your teeth whitened at our cosmetic dentist in West Hollywood. Having teeth whitened may improve confidence. When you no longer worry about the appearance of your teeth, you are more likely to smile and laugh with others. A smile is important for interactions with others and a whiter smile may make you feel more attractive. Teeth whitening can improve your appearance. Most, if not all, stains on the teeth can be removed with teeth whitening procedures, making teeth look cleaner and healthier. Whitening procedures also help to brighten teeth that have become dull due to the aging process, result in a more youthful looking smile. Those who have their teeth whitened typically engage in better oral hygiene. This may be in part due to the desire to extend the appearance of whiter teeth following the procedure. Better oral hygiene means less chance of serious dental problems later on. Dental whitening procedures are not really that expensive, especially worth it when you consider all of the benefits of a whiter and brighter smile. 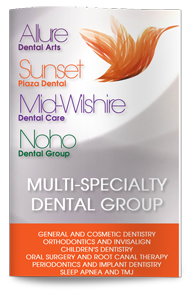 Stop in and see our expert in teeth whitening in West Hollywood to discover the teeth whitening options that are best suited for your individual needs.